Are your relocating to South Jersey or moving from South Jersey to another area? I can help make your transition painless. I am a military mom and I understand the headaches and stress of relocation first hand. Are your relocating to South Jersey from outside the area? Understanding South Jersey real estate can be a tricky proposition. We are very densely populated and the dividing lines between municipalities and school districts can be very confusing. I am a life-long resident and a top selling agent. I know what areas will fit the needs and budget of you and your family. Let me help you navigate the local South Jersey real estate market. 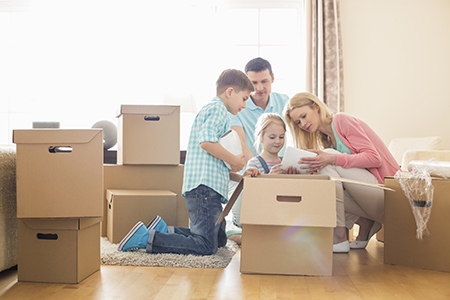 If a client needs to sell their home and has been given a relocation package. I work directly with different relocation companies. I am familiar with the process, and the paperwork. I can also find an agent for a client that is selling and relocating to a different area. I can make sure that they are contacted by the top agent in the new area they will be living. I can find an agent anywhere in the country. I practice this all the time with clients selling in New Jersey and relocating for retirement, new positions and military assignments.